In a rented room not far from the State House in Philadelphia, Thomas Jefferson found himself surrounded with books and pamphlets as resources for a daunting assignment: to compose the first draft of a Declaration of Independence. The others on the five-person committee had convinced Jefferson he was the best choice for the task. He had few enemies in the Continental Congress and was already known as an excellent penman, having drafted the Virginia Constitution. Now why would New England churches have needed to defend themselves? As early as 1687, the Anglican Church of England sought to extract tax revenue from the colonial churches. John Wise was the Congregational pastor of Ipswich, Massachusetts at the time. 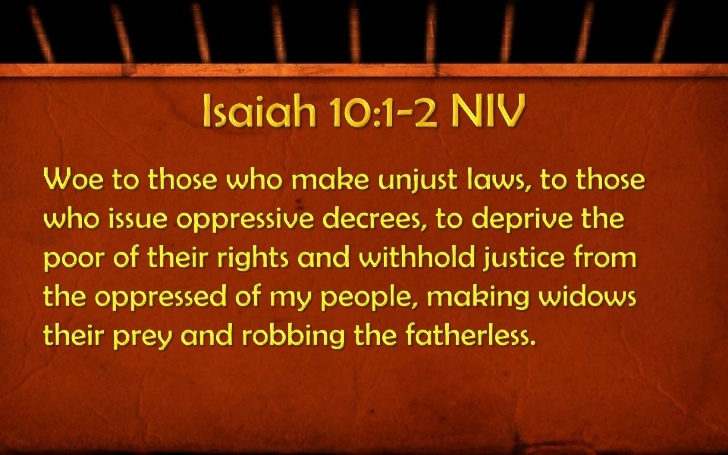 In a sermon he used scripture to assert that taxation without representation was tyranny. He also led the revolt against the Royal Governor, Sir Edmond Andros, in response to the tax levy. John Wise’s experience with unlawful taxation and his persuasive arguments against tyranny made his work a likely resource as Thomas Jefferson prepared to draft the Declaration. But where did John Wise obtain those compelling arguments? Surely they came from the Bible. 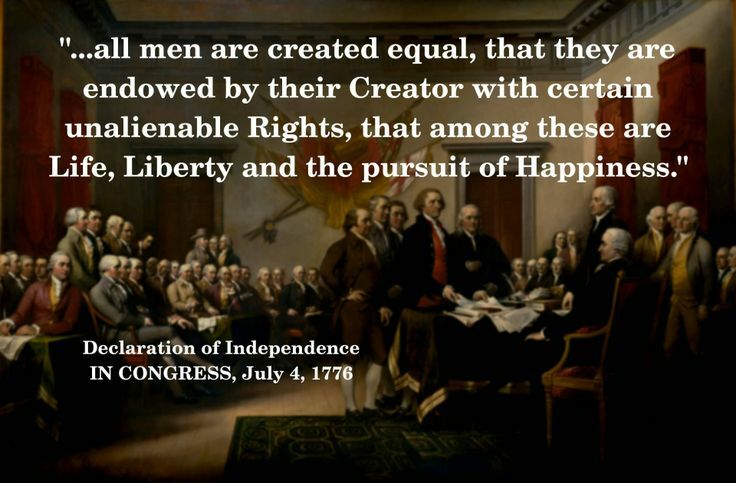 “Inalienable rights” are those God bestowed when he created humankind. Because they are from God himself, governments do not have the prerogative to take them away. Examples are found within our Bill of Rights. Others include: to earn a living and keep the profits of our labor, to move freely within the country or leave the country, and to live secure in our homes. Such rights should be respected by all, because each of us was created in the image of God (Genesis 1:27). 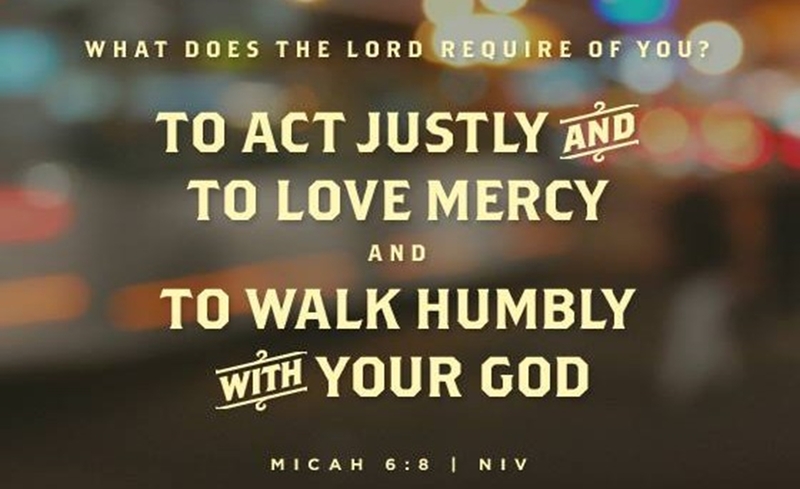 He is our Heavenly Father, who loves each of us passionately (Jeremiah 31:3) and desires we act justly toward one another (Micah 6:8). What parent doesn’t desire that siblings live happily and peacefully together? But“Life, Liberty, and the pursuit of Happiness” for all are only possible if we follow Jesus’ teaching of the Golden Rule: “In everything do to others what you would have them do to you” (Matthew 7:12). Indeed, the truths espoused by the Declaration of Independence are based on absolutes, ordained by our Creator God for our best welfare–as individuals, communities, and nations. Lord, help each of us live out these self-evident truths. *One of the committee members, John Adams, wrote in a letter to his friend, Timothy Pickering, in 1822: “There is not an idea in it [the Declaration] but what had been hackneyed in Congress for two years before…Indeed, the essence of it is contained in a pamphlet, voted and printed by the town of Boston before the first Congress met.” According to Dr. Paul Jehle, Executive Director of the Plymouth Foundation, that pamphlet was Pastor Wise’s Vindication of the Government of New England Churches. (“The Origen of the Declaration,” http://www.plymrock.org). The Founders’ Bible, edited by Brad Cummings and Lance Wubbels, Shiloh Road Publishers, 2014. 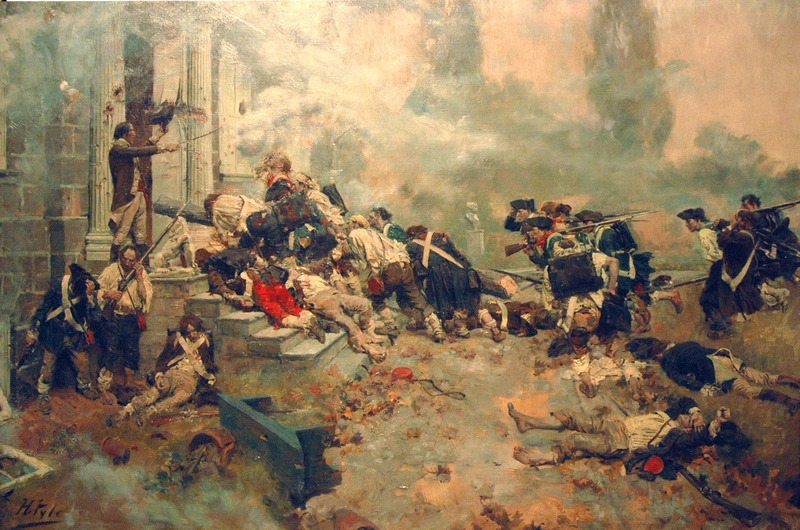 Art & photo credits: www.wikimedia.org; http://www.pinterest.com (2); http://www.godswordimages.com; http://www.slideshare.net; http://www.ushistory.org. 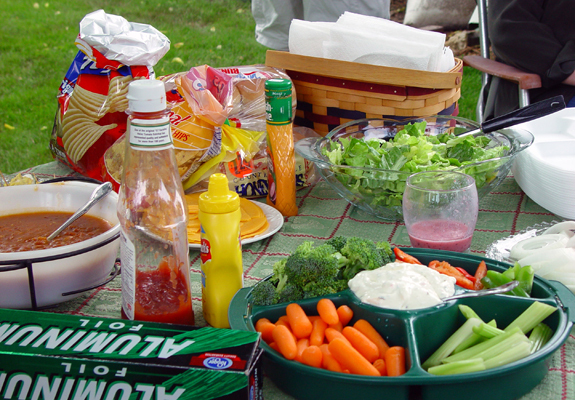 During my growing up years, the Fourth of July was usually celebrated at an extended-family picnic, attended by aunts, uncles, and lots of cousins. At least two tables were required for the hamburgers, hot dogs, numerous side dishes, homemade lemonade, watermelon, and Grandma’s pies and cookies. But the highlight of the celebration didn’t happen until dark: sparklers and fireworks. What a delightful wonder to stare into a sizzling starburst and spin circles and figure-eights with a thread of light. And then, after much painful waiting, the real show would begin. Fireworks. A soft phoom alerted us to each explosion of color. My favorite was a yellow-orange burst that would remain brilliant for several moments, as each spark gracefully drifted downward. The effect resembled a mammoth weeping willow tree, lit from within. 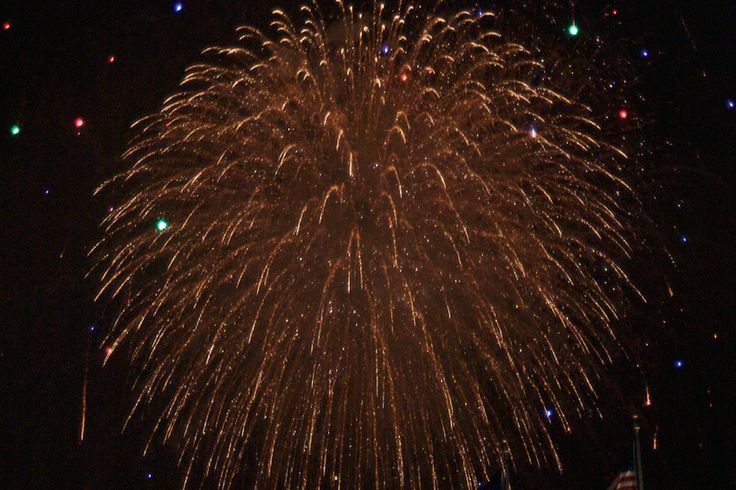 I wonder, how did the custom of fireworks become a tradition for Independence Day? It began with founding father, John Adams, in a letter to his wife, on July 3, 1776. 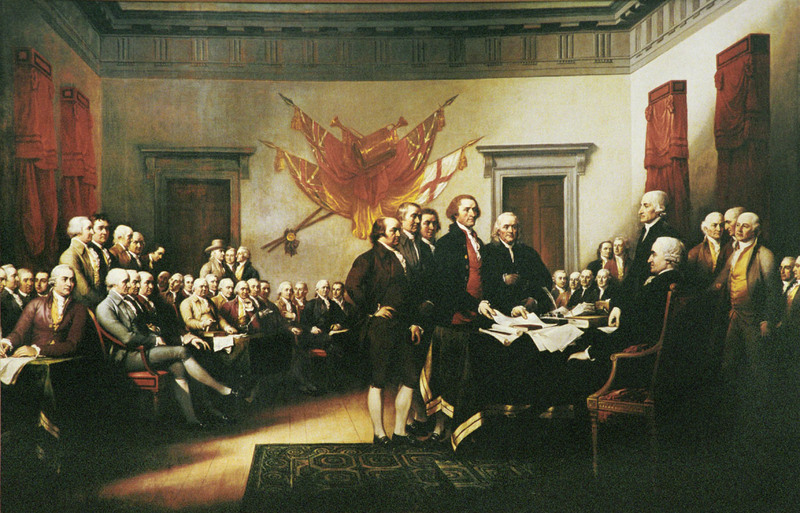 Just the day before, fifty-six patriots had signed the Declaration of Independence. Mr. Adams thought that would be the day the new nation would celebrate. Instead, it would be the day after, July 4, when the final wording of the Declaration was approved. Following, in bold print, is an excerpt of Mr. Adams’ letter to Abigail. The inserted comments are my own thoughts. John Adams correctly predicted the importance of this event to Americans. 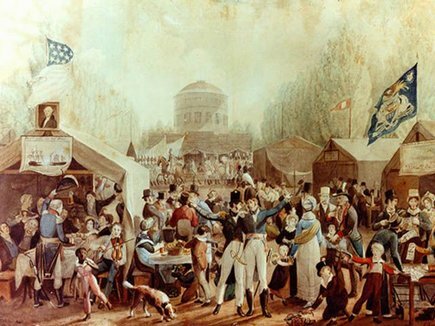 The first great anniversary festivals occurred the next year in Philadelphia and Boston. Such commemoration caught on quickly throughout the thirteen colonies. Now that would be a worthy addition to our Fourth of July gatherings. Solemn acts of devotion to God Almighty might include prayers of thanksgiving and praise for our great nation, then asking God for his continued guidance and blessing upon America. That word, solemnized, caught my attention. It means, “to celebrate or observe with formal ceremonies or rites.” Although Mr. Adams and other patriots would no doubt approve of family picnics and parties with friends, our choices of activities ought to be respectful of the Declaration and the lives lost to achieve and uphold our independence. Again, John Adams’ words were prophetic. Eight long years of toil, from 1775 to 1783, were required for the colonists to achieve freedom from Britain. The blood of 25,000 patriots paid for that freedom and the treasure of 400 million dollars. Of those who signed the Declaration, nine died in the conflict, five were captured and treated brutally, several lost family members, twelve had their homes completely burned, and seventeen lost everything they owned. Even with his vision of ravishing light and glory, Mr. Adams could not have imagined the growth of prosperity in America. No country on earth has enjoyed such rich and varied resources, provided such strong influence in the world, and so generously offered aid across the globe when needed. Posterity has indeed triumphed, and John Adams was blessed to witness firsthand the beginnings of that triumph, as the thirteen colonies became a nation. He helped negotiate the Peace of Paris, which ended the Revolutionary War. He served as vice-president under Washington, and became the second U. S. president in 1796. 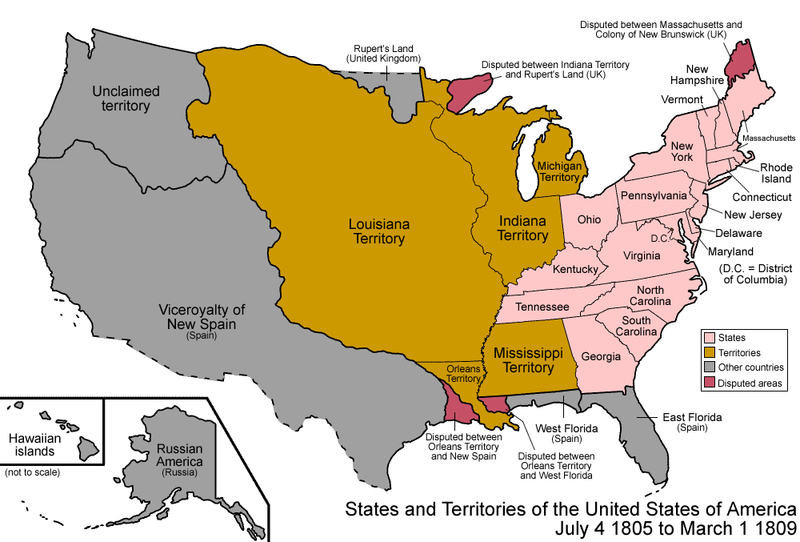 Before his death on July 4, 1824, he witnessed the Louisiana Purchase and the annexation of eleven more states. Indeed. A republic such as ours cannot survive unless its citizens live by certain principles, including integrity, compassion, and personal responsibility. Such Christian principles cannot be legislated; they must come from the heart. The ravishing light and glory John Adams declared for our nation can be achieved and maintained no other way. *This last excerpt from a letter to Thomas Jefferson, June 28, 1813. Church bells rang all across Philadelphia. Men on horseback rode far and wide to spread the news. People shouted and fired their guns. It was July 4, 1776. 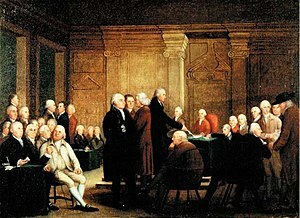 The Declaration of Independence had been approved by the Second Continental Congress. In spite of the celebratory noise, those fifty-six delegates gathered in the Pennsylvania State House knew the gravity of their actions. By signing the declaration (which would not happen until August 2) they were guilty of treason against the British crown–punishable by hanging. On what confidence were they willing to risk their lives against an enemy as strong as England? After all, the colonies were loosely organized, just a far-spread collection of farmers for the most part. They had no army or navy trained and ready to launch into battle. Small-town militias were all the Congress had to work with. And because the British were seizing guns and ammunition, the militias were disadvantaged further. By contrast, the powerful British empire had a trained army and at least thirty ships ready for battle as the war began. Perhaps those fifty-six delegates were reflecting on a providential event of September 7, 1774. On that day, Rev. 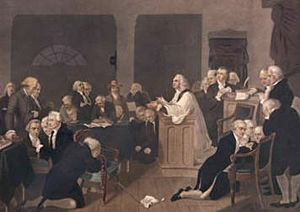 Jacob Duche had been invited to the First Continental Congress to begin the day’s proceedings with prayer. But Rev. Duche also read the psalm designated for September 7, from the Book of Common Prayer. The passage was Psalm 35. “Contend, O Lord, with those who contend with me; fight against those who fight against me. Arise and come to my aid. “May those who seek my life be disgraced and put to shame; may those who plot my ruin be turned back in dismay. Since they hid their net for me without cause…may the net they hid entangle them. “You rescue the poor from those too strong for them, the poor and needy from those who rob them…O Lord, how long will you look on? Rescue my life from their ravages, my life from these lions” ((Psalm 35:1-17). John Adams is the one who called the day’s reading “providential.” The whole psalm spoke directly to their situation. Yet, even with such promises still in their minds, those delegates knew full well that war would mean deprivation for everyone, suffering for most, and death for many. They were potentially signing a death warrant for themselves and/or their sons. What would cause such willingness to sacrifice themselves? The end is worth the means: that posterity will triumph. They sacrificed so very much so that we, their posterity, might enjoy life, liberty, and the pursuit of happiness. Of those 56 who signed the Declaration of Independence, nine died of wounds or hardships during the war. Five were captured, imprisoned, and treated brutally. Several lost wives, sons or entire families. One lost his 13 children. Two wives were brutally treated. All of the delegates were, at one time or another, the victims of manhunts and driven from their homes. Twelve signers had their homes completely burned. Seventeen lost everything they owned. Yet not one defected or went back on his pledged word. Such conviction, strength of character, courage, and perseverance; such willingness to suffer is difficult to fathom. Heavenly Father, it pains us to realize that thousands upon thousands have died for the cause of liberty. May we always remember: our freedoms have been purchased for us at a Very. High. Price. May we never take those freedoms for granted, or, worse yet, abuse them. It also pains us to realize that your Son, Jesus, had to die, to liberate us from death. May our lives be characterized by heartfelt gratitude, motivating us to live for you and not for our own selfish desires. Strengthen us, Lord, to please you and honor our dead heroes. You deserve our obedience; they deserve to be respectfully remembered. Always. 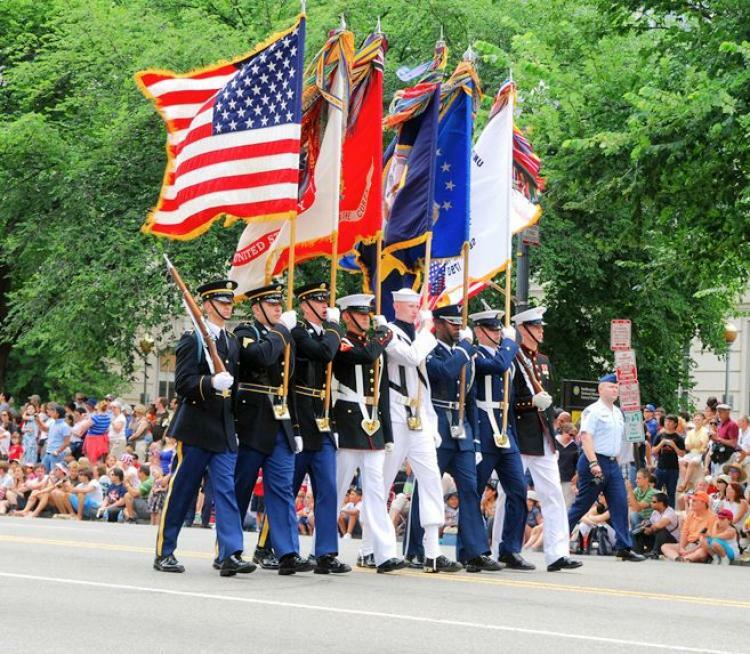 And last, we pray for those who are now serving in the military, protecting our freedoms today. Watch over them and bless them, we pray. Amen.